VocaParty: V3 KAITO release date announced! 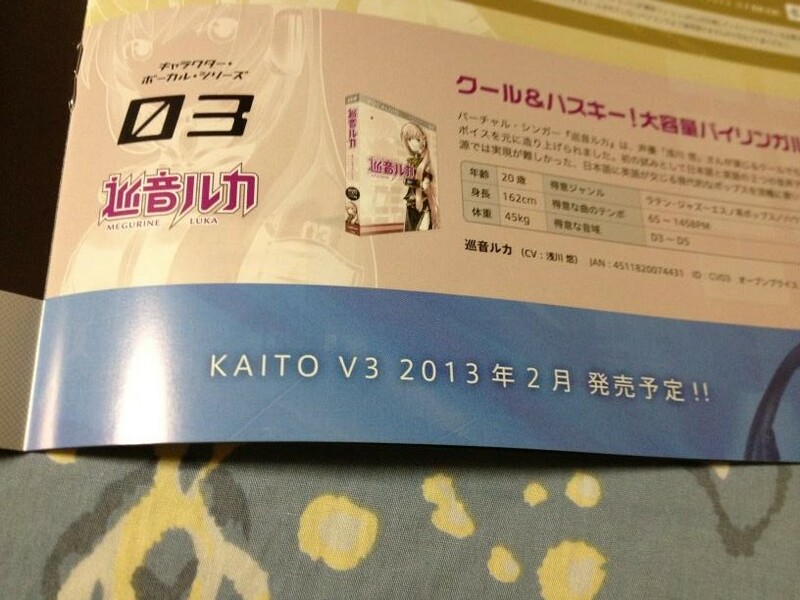 Crypton has finally announced the release date for VOCALOID3 KAITO - Febuary 2013. According to a tweet by @tokoroon, this piece of news came from a Crypton catalogue which comes with a DTM magazine. So far there's no official announcement from Crypton yet, but I'm expecting one very soon. And its quite interesting that they are releasing KAITO Append first than MEIKO Append since MEIKO Append was announced much earlier than KAITO. While we are waiting for the official announcement, let's have a listen at KAITO Append β. Can't wait for the official announcement!